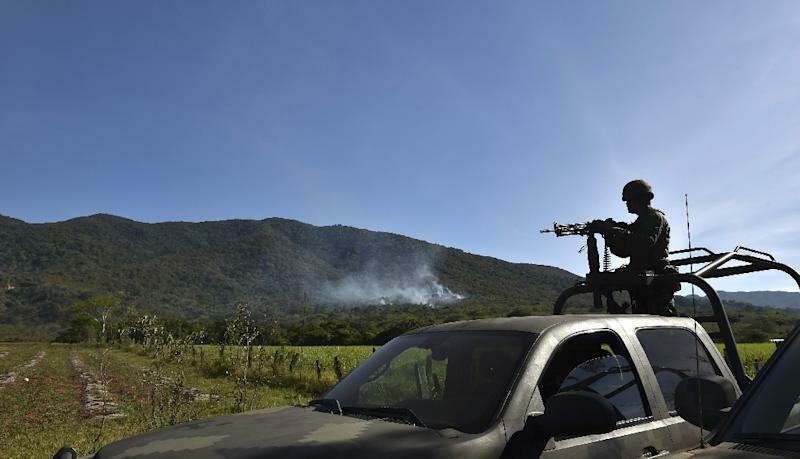 Mexico City (AFP) - Armed with rocket-propelled grenades to bring down an army helicopter and with ties to gangs as far afield as Asia, the Jalisco New Generation drug cartel and its shadowy boss have grown into Mexico's newest menace. 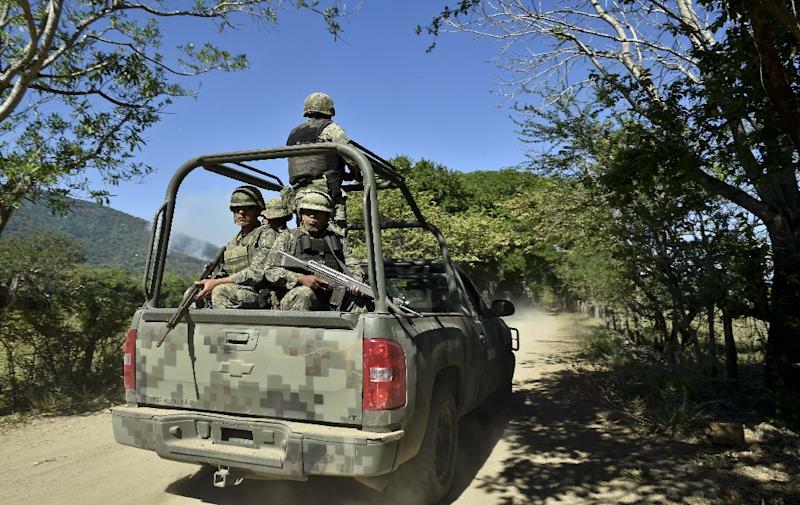 The criminal group was once an armed wing of the feared Sinaloa cartel, fighting turf wars with the Zetas and Knights Templar gangs, but it has emerged as a powerful force this year in its own right. Founded in the western state of Jalisco, the cartel now has a presence in other regions, while forging ties with criminal organizations in the United States, Latin America, Africa, Europe, and Asia, according to the US Treasury Department. "Now they are spreading like the bubonic plague," Mike Vigil, a former chief of international operations of the US Drug Enforcement Administration, told AFP. "They are the fastest-growing cartel and if they continue to grow as they have been they will become more powerful than the Sinaloa cartel and the Zetas combined." Cartel chief Nemesio Oseguera, alias "El Mencho," was added to the US Treasury Department's kingpin sanctions list in April, along with brother-in-law Abigael Gonzalez Valencia, the leader of the Los Cuinis gang, who was arrested in February. Oseguera is a new challenge to Mexican President Enrique Pena Nieto, who had been able to boast about the captures of the leaders of the Sinaloa, Zetas, Gulf and Knights Templar drug cartels since taking office in 2012. The New Generation has defied the government with spectacular attacks on security forces, the latest being Friday's downing of the helicopter that left six soldiers dead. The attack came as the government launched Operation Jalisco to dismantle the criminal organization, which killed 20 police officers in two ambushes in March and April. "It's a group that has grown and expanded to other states, such as Colima, Guanajuato, Michoacan, with a presence in Veracruz," National Security Commissioner Monte Alejandro Rubido said. "The fact that they attacked a Cougar helicopter with rockets... demonstrates the firepower of this group," Rubido told the Televisa channel on Monday. 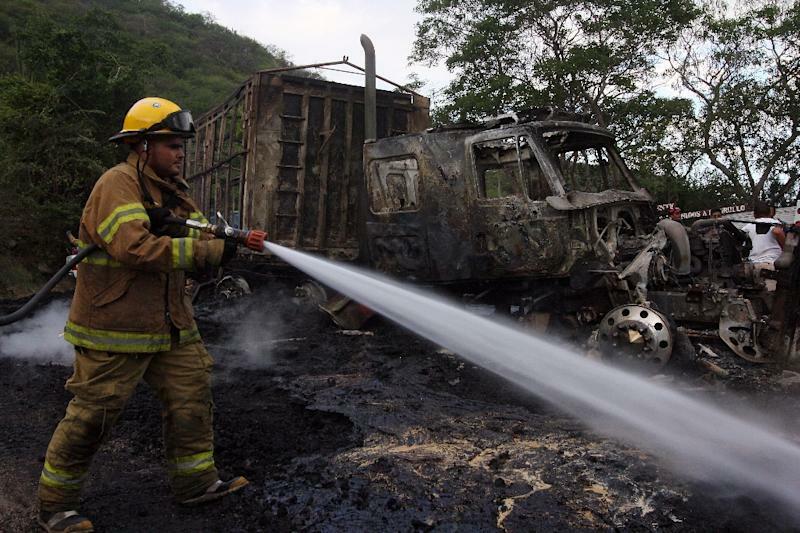 Federal police chief Enrique Galindo said authorities believe an unidentified cartel leader was in the convoy of gunmen who were spotted by the helicopter on a road near the town of Casimiro Castillo. "For that reason there was a reaction of this size," Galindo told Radio Formula. Oseguera was not very well known until recently. In a picture released by Mexican authorities, he has black, short hair and a thin mustache. He was born in Michoacan state on July 17, 1964 or 1966, according to US authorities. Oseguera served nearly three years in prison in the United States in the 1990s for distributing heroin. He returned to Mexico afterwards. The attorney general's office has offered two million pesos ($130,000) for information leading to his arrest -- a pittance compared to the 30 million pesos offered for other kingpins. His son, Ruben Oseguera Gonzalez, or "El Menchito," was captured in January 2014. The elder Oseguera founded his group five years ago from the remnants of the Milenio cartel, according to authorities. The New Generation became independent after the Sinaloa cartel's leader in Jalisco, Ignacio Coronel Villarreal, alias "Nacho Coronel," was killed while resisting arrest in 2010. In March 2014, a US federal grand jury indicted Oseguera and brother-in-law Gonzalez Valencia on charges of engaging in a criminal enterprise and conspiracy to traffick cocaine and methamphetamines. The two men amassed more than $10 million in a 12-month period, the indictment says, while their gangs have committed "numerous acts of violence" including murder, kidnappings and torture. "They know that violence is going to allow them to expand and that's exactly what they're doing," Vigil said. Alejandro Hope, a former Mexican intelligence official, said Oseguera was nearly snared in a federal police operation in August 2012, sparking the same sort of fiery roadblocks that the cartel launched last Friday across Jalisco. "The Jalisco cartel was seen a couple of years ago as a subsidiary or branch of the Sinaloa cartel," Hope said. "What we are seeing is that it has gained independence."